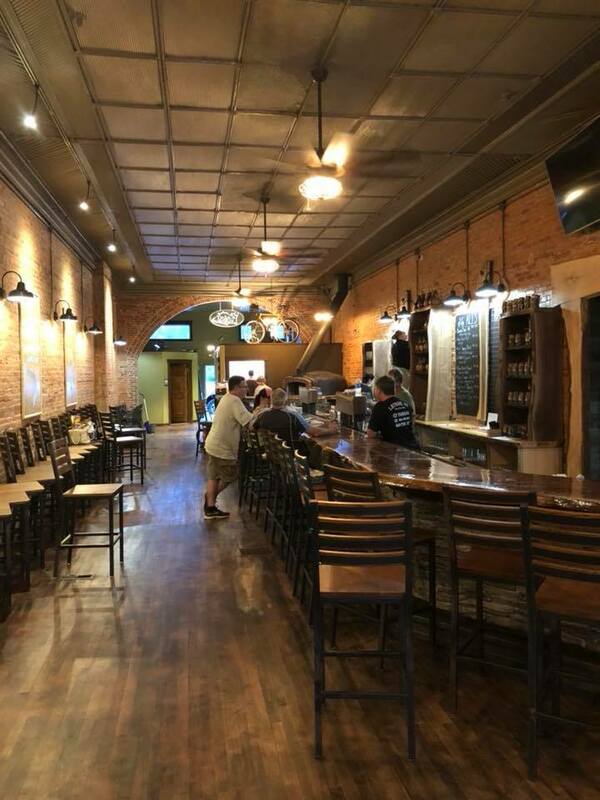 FRANKLIN, Pa. (EYT) – TrAils to Ales Brewery opened its doors to the public Friday, and patrons showed up by the hundreds in support of Franklin’s first and only microbrewery. Co-owner Dave Ballard said that he could not have been more happy with the turn out as TrAils to Ales opened their doors for the first time after months of preparation. For Ballard and his fellow owners, the brewery has been something that has been on their minds for years. TrAils to Ales would eventually become more than a simple “what if” for these friends when disaster struck for one of the future owners of the new brewery. On February 22, 2017, Sportsman’s Tavern in Cornplanter Township was destroyed by a structure fire. According to Ballard, this is what would eventually get the ball rolling for TrAils to Ales. After DeGroat made the offer of the liquor license, Ballard went on to say that they were offered the space that would become the brewery’s future home the very next day. After years of thinking “what if” runners and bikers could step off the trails for drinks and fellowship – TrAils to Ales was finally becoming a reality. What would follow next would be months of renovations and business preparations to prepare to open the brewery. On June 1st, the ownership group of Ballard, Smith, Paulson, DeGroat, Nerlich, and Jason Fry were able to see their long-time wish become a reality as TrAils to Ales opened their doors for the first time. “We could not be more happy with the support we received on opening night. While we don’t have exact numbers of how many people came through the doors, we did make more than 250 pizzas and estimate that we had approximately 400 people in the brewery when it was all said and done,” said Ballard. While Franklin has its fair share of dining and drink establishments, Ballard pointed out that it is the brewery’s tie to the Allegheny Valley Trails Association (AVTA) that will truly make it unique. Patrons will also be encouraged to take pictures of themselves on the trails and send them to TrAils to Ales where the pictures will be played on a continuous loop on the brewery’s television screens. While Ballard and his fellow owners are hoping that trail traffic will bring them business, they are looking to return the favor by promoting the beauty and adventure of the trails so that customers will take to the trails themselves. Decor aside, TrAils to Ales will have eight beers on taps. Even the names of the drafts have a trails theme with Mudpuppy Stout, Twisted Trout, Tunnel Vision, and Sandycreek Shandy. The pride of TrAils to Ales, according to Ballard, however, is Holden’s Dream. Named after Jim Holden, every one of these drafts sold will provide a five percent donation to Allegheny Valley Trails Association. Beyond drinks, TrAils to Ales will also offer a limited amount of food in their brick, wood-fired oven. While their specialty is pizza and flatbread, they will also offer a variety of appetizers to enjoy with customer’s beers. While TrAils to Ales is obviously a business venture for Ballard and his five co-owners, the brewery took on a special meaning for all of them as they are striving to provide something special for Franklin and its residents. 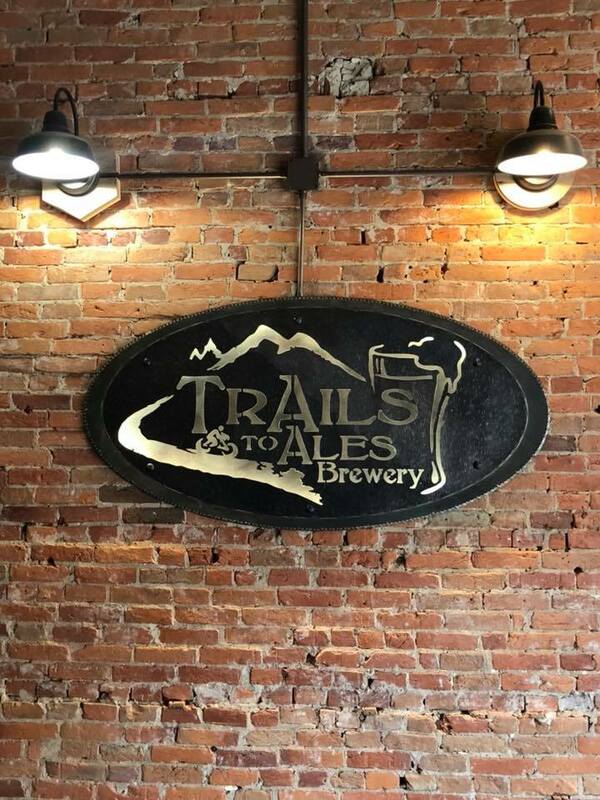 TrAils to Ales is located at 1270 Liberty Street, Franklin, Pa., and is open on Thursday, Sunday, and Monday from 11:00 a.m. to 9 p.m. and on Friday and Saturday from 11:00 a.m. to 10:00 p.m.
For additional information and for a list of upcoming events, please visit Facebook.com/TrAilstoAlesBrewery.